Khen Rinpoche Nyima Dondrup was born in 1965, in the mountains which are the secret land of Guru Rinpoche called Beyul Yolmo Gangra. At the age of six he left his family to go and live with the great master of meditation Kunzang Yeshe Rinpoche. When he was 16, his master returned to Tibet and he then trained for two more years with Gen Rigdzin Rinpoche. During these years they stayed in retreat in various holy places including the caves used by Guru Rinpoche and Milarepa. Here, the young Rinpoche began his education, first learning to read and write, followed by practicing the visualisations and recitations of the general development stage and then moving on from there. At that time, he took refuge vows from H. H. Dudjom Rinpoche and also received the Jangter (Northern Treasures) empowerments and transmissions and other teachings from him. Later, Rinpoche went to Namdroling monastery in South India, where he ordained with H.H.Penor Rinpoche. He completed the nine years study of the Nyingma shedra there with the highest possible grades. He also received transmissions, empowerments and instructions from H.H. Dalai Lama, H.H. Khenchen Jigme Phuntsok, H.H. 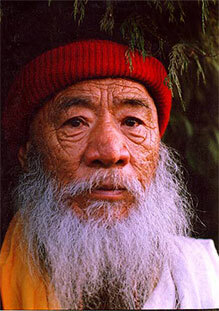 Jatral Rinpoche, H.H. 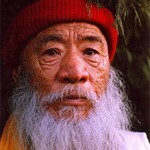 Dodrubchen Rinpoche, H.H. Thrulshik Rinpoche, Khenchen Pema Sherab, Dhungse Thrinle Norbu Rinpoche, Domang Yangthang Rinpoche, Tulku Thubzang Rinpoche, Tulku Rigzin Pema Rinpoche and many others. ability to properly teach both sutra and tantra and Rinpoche then taught at Namdroling for several years. During this time he started to travel, and now he has been continuously teaching the Dharma all over the world, including Nepal, the United States, Canada, Europe and the Far East, including Taiwan, Malaysia, Hong Kong, Singapore and Cambodia. 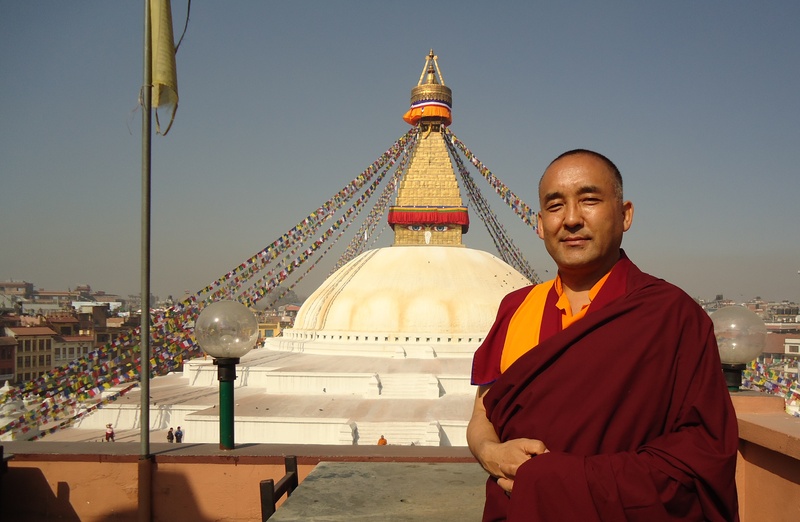 Now, near to the great Jarung Kashor stupa at Boudhanath in Nepal, Rinpoche has founded the Shakyamuni Buddhist Society for the purpose of making Buddhist teachings available to all who are interested, both local and otherwise. Teachings are given in Tibetan, Nepali and English and there is also instruction in learning to read and write Tibetan and English .